My Julep October 2014 Black Magic Collection polish lover upgrade box arrived right before I left for vacation a couple weeks ago, I was sad I would have to wait to play with them butttttt I WAS leaving for vacation so I wasn’t that sad, come on now haha. There are some beauties in this collection but Briana and Dana inspired me first. 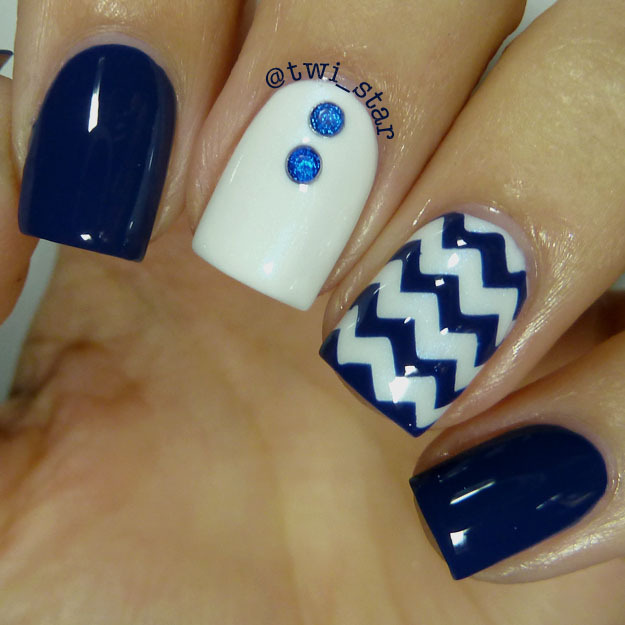 I was feeling like some Chevrons……. Julep Briana is a bright navy crème, it’s much brighter than Julep Michelle if you have that one. I love blue cremes! And this one is perfection, sometimes they can be very dark and look black most of the time but Briana looks navy blue at every angle. This is 2 coats, it applied very nicely. 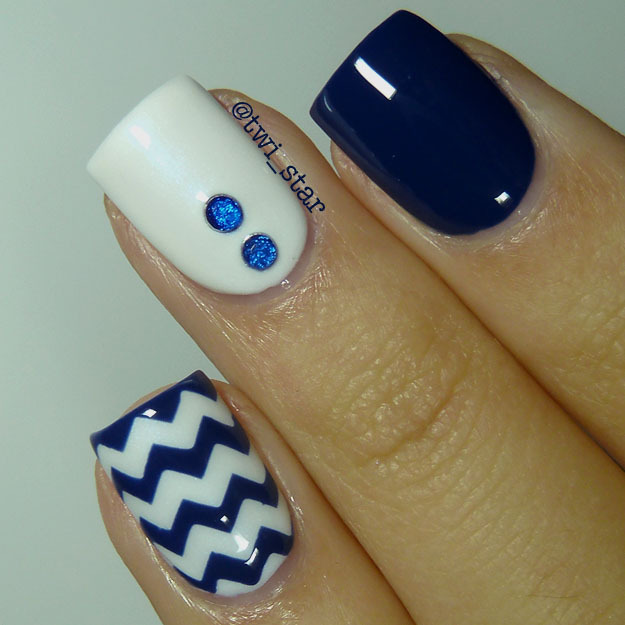 Dana is a white base with ultrafine blue shimmer. This is a black light reactive polish but sadly I don’t have a black light to test it. If you would have caught me when I was 15 I definitely had a black light AND a lava lamp in my room lol I was cool. Who remembers the store New Age Creations?! I’m really digging Dana, the blue shimmer is subtle but very pretty especially in the sun. It covered pretty well with 2 coats but you could see a few patchy spots so I added a 3rd coat. Maybe a touch thick but nothing too bad. I used some 2mm blue jewels from ebay on the middle accent finger. 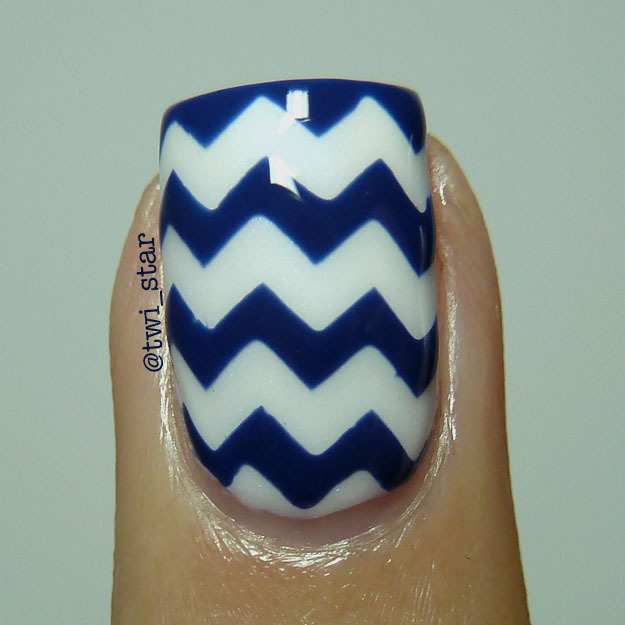 On the ring finger I used chevron nail vinyls from Vinyl It Up, these are the mini size. I love this size! 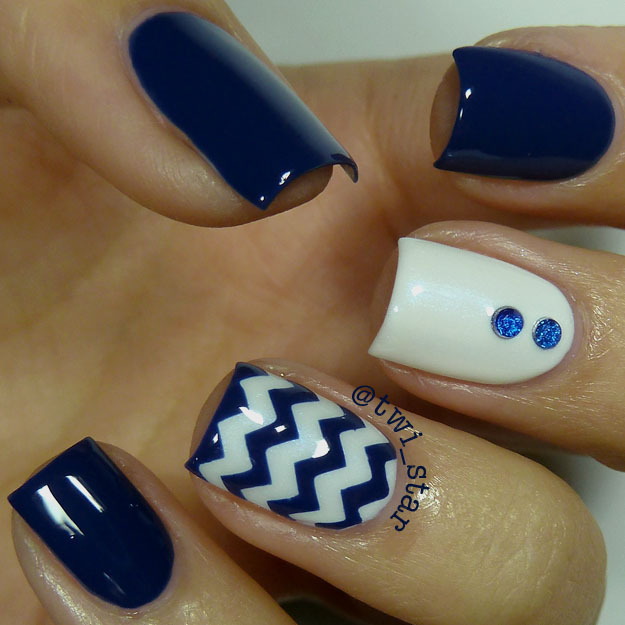 I have small nail beds so this size gives me lots of chevron pattern. 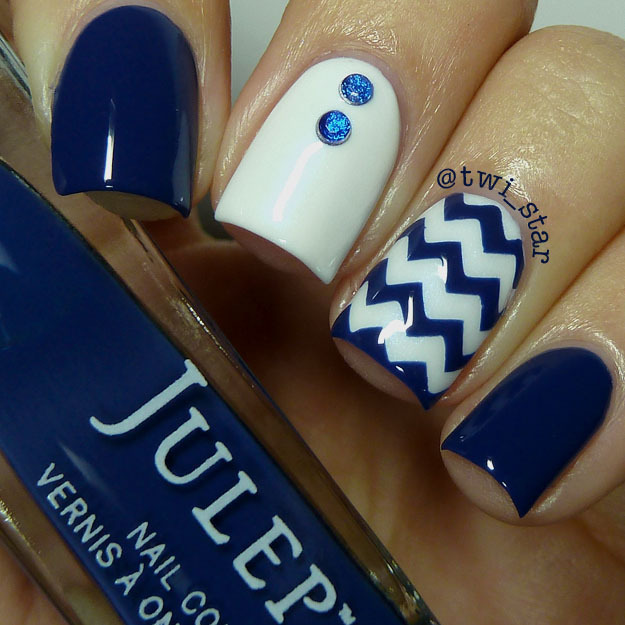 Overall I adore this mani! 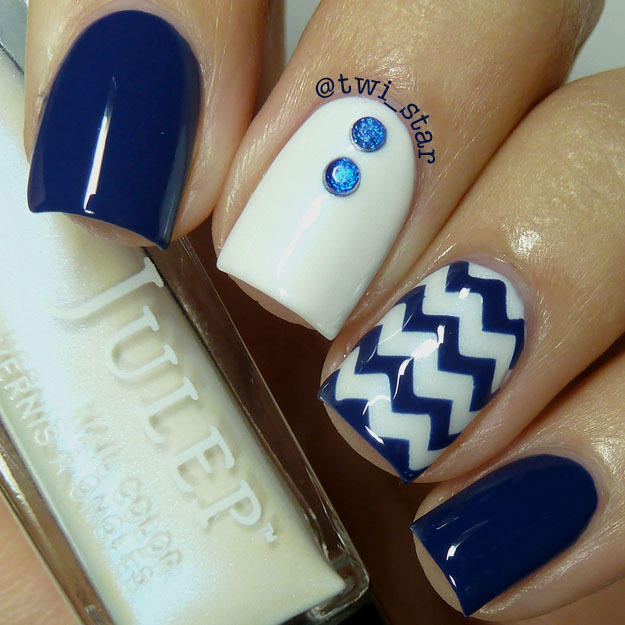 I like the way the dark blue and white play off of each other. Thanks for stopping by!